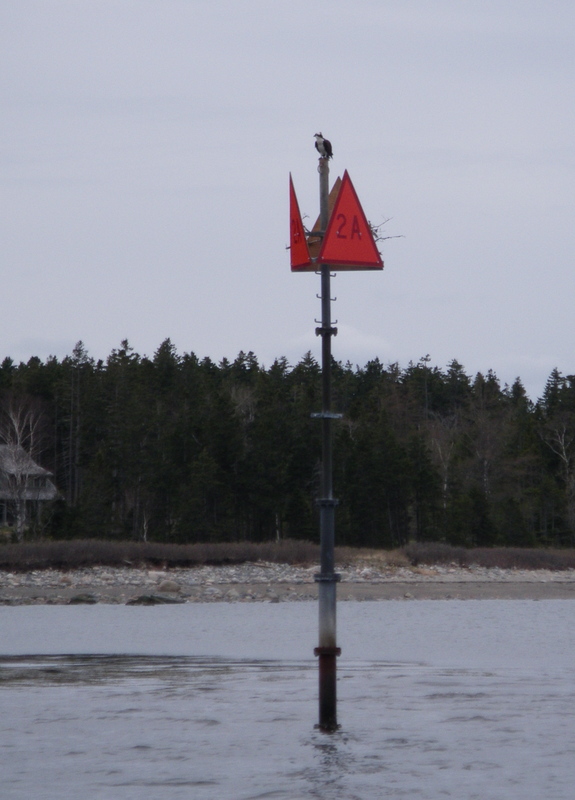 One week later, mail boat passengers observed the return of the osprey, delighted by their clear lack of respect for authority. Score one for the sea hawks! Thanks for sharing this. 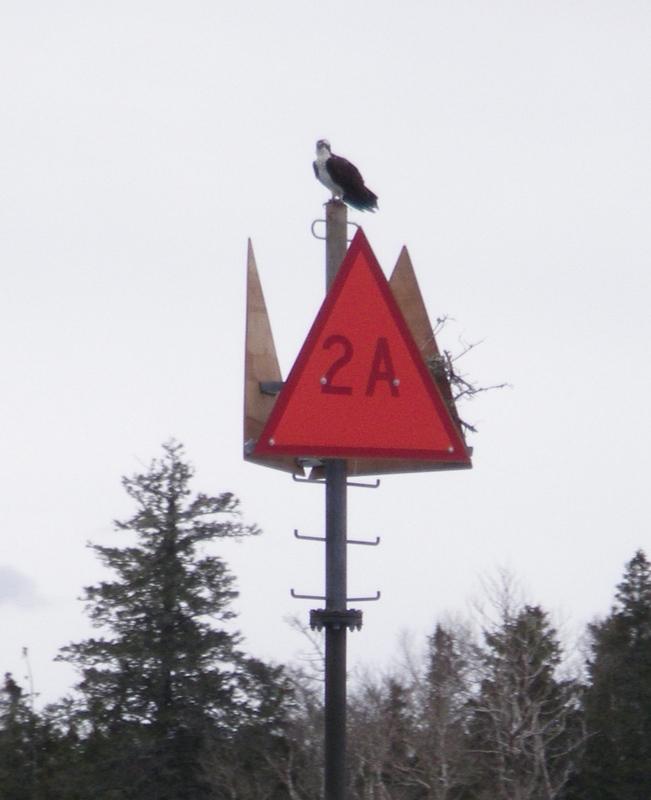 YAY ospreys. I hope they remain undisturbed. Up with the Osprey, Boo to the CG…I hope they leave this one alone too! We are the navigational hazard, not the nest tucked away.